Primary school children across Cumbria have been getting out and about in the countryside thanks to funding from the Cumberland Building Society Charitable Foundation. 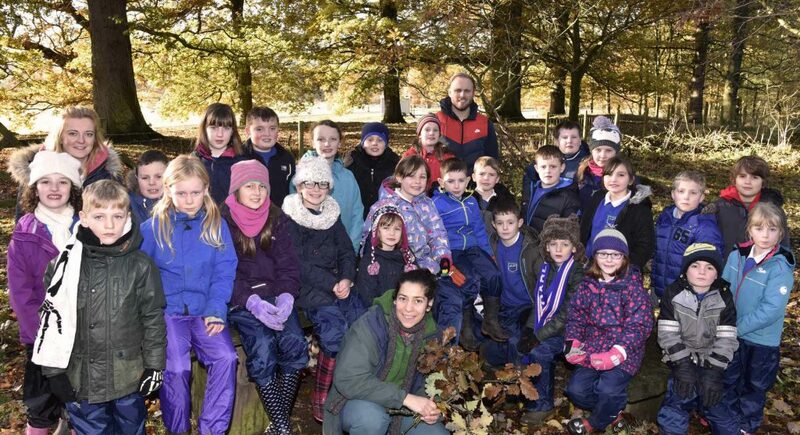 The Royal Forestry Society received £1,000 towards their Teaching Trees project, which takes groups of primary school children on woodland visits, so they can learn about trees and woodland management, in a way which complements their learning in school. Throughout Autumn last year, children from Temple Sowerby School have been visiting Acorn Bank to take part in a range of outdoor learning activities, linked to things they have been learning in school, such as the Stone Age or poetry. The project has introduced children to rural issues which are very relevant in Cumbria, explaining about forestry, woodland management, nature and wildlife, the uses of timber, pests and diseases.